First launched in 2007, CLP’s Climate Vision 2050 sets out a series of decadal decarbonisation targets from 2010 to 2050. After a review in 2017, CLP announced to strengthen its targets, including a reduction of the Group’s carbon intensity to 0.50kg CO2/kWh by 2030, 0.34kg CO2/kWh by 2040 and 0.15kg CO2/kWh by 2050, while maintaining its 2020 target at 0.60kg CO2/kWh. The company also aims to have 30 percent of renewable energy and 40 percent of non-carbon emitting energy in its portfolio by 2030 (20 percent and 30 percent respectively, by 2020). These strengthened commitments were made partly in support of the United Nations Sustainable Development Goals 7 (Affordable and Clean Energy) and 13 (Climate Action). In CLP Power Hong Kong’s new Five-year Development Plan (2018-2023), there are several capital projects that are helping accelerate its transition to lower carbon energy. A new 550MW combined cycle gas turbine (CCGT) is being built at Black Point Power Station and due to go into operation in 2020. Another CCGT unit of around 550MW Station is also expected to be ready by 2022/2023. These lower-carbon gas units will contribute to the gradual phaseout of the oldest coal-fired units at Castle Peak Power Station in the mid-2020s. Another key project is the construction of an offshore liquefied natural gas (LNG) terminal, which will allow the company to purchase competitively-priced LNG directly from more diversified global sources and to enhance gas supply security. A Feed-in Tariff scheme was also launched to support Hong Kong’s renewable energy development by connecting small-scale wind and solar projects to CLP’s electricity grid. The company also started to construct the largest landfill gas power generation system in Hong Kong at the West New Territories Landfill in November 2018. In 2018, renewable energy accounts for 12.8 percent of the Group’s generation capacity while non-carbon emitting energy 24.1 percent on an equity plus long-term capacity and energy purchase basis. The Group’s carbon intensity was reduced to 0.66kg CO2/kWh on the same basis. In the past, CLP grew its renewable portfolio by directly constructing new projects primarily in Mainland China and India. In recent times, it has expanded its approach beyond green field development to include the acquisition of high-quality renewable energy projects. For example, CLP India has acquired interests in two operational solar projects in the state of Maharashtra. It will continue to seek such opportunities where appropriate. As part of its partnership with Caisse de dépôt et placement du Québec (CDPQ), CLP India is committed to expanding investments in low carbon growth areas such as renewable energy investments, in addition to non-generation business opportunities in transmission, distribution and other services. Technology is helping optimise and improve CLP’s asset performance. In 2018, it completed the testing of a smart diagnostics tool, and plans to deploy it to a wider selection of renewable assets in India and Mainland China by 2020. The performance of its renewable assets is monitored remotely from a centralised, cloud-based system in real time, enabling prompt actions to address any perceived problem. 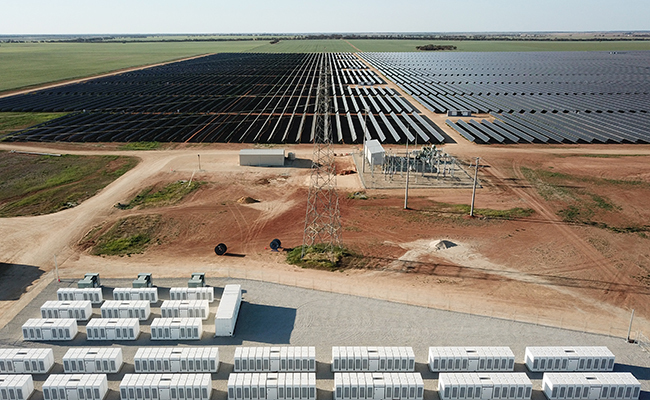 Meanwhile, EnergyAustralia has become the first retailer in Australia to integrate battery storage into its portfolio at scale, and now has the largest battery portfolio of any retailer in the National Electricity Market. Its two storage plants at Ballarat and Gannawarra went into operation in October 2018. To strengthen its climate resilience, CLP has undertaken a number of assessments over recent years to better understand the resilience of its assets. In Hong Kong, CLP Power constantly reviews and enhances its emergency preparedness measures. These include strengthening its tower structures and foundations of 400kV overhead lines; introducing an Emergency Restoration System on power supply; and upgrading its mitigation measures for flood-prone transmission and distribution substations. CLP sees addressing climate change a principal focus of its future business development. It is diversifying its generation portfolio based on geography and fuel type, reducing the use of coal across its markets as well as increasing the use of renewables and lower or non-carbon emitting fuels. It also intends to increase its presence in transmission and distribution, as well as develop new energy services and solutions for its customers.